The Perry High School Instrumental Music Department will host its 35th annual Perry Band Olympics Saturday, Feb. 16 at PHS. 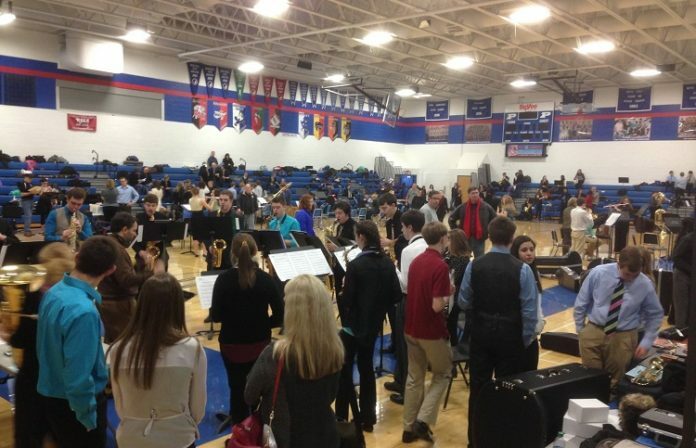 Known as the “Super Bowl” or “World Series” of solo and ensemble contests, the Perry Band Olympics has made a name for itself in Iowa and become the prototype for similar contests across the U.S. Ten schools will be represented this year, with nearly 1,000 student musicians performing in each of their events. Individuals and ensembles will perform for judges arranged in 17 centers, one center for each particular instrument or ensemble group. The students will compete for the best score in each center, and PHS students will be among the performers. Scores are divided between two grade groups, ninth and tenth graders and 11th and 12th graders. The top 5 scores for each instrument and ensemble in the two groups will be recognized in an awards program at the end of the contests. The daylong Perry Band Olympics is open to the public. Doors to the high school will open at 7 a.m. and admission is $3. Food is available for purchase, and all proceeds go to the Perry High School Instrumental Music Department. The awards ceremony will take place at about 5 p.m. This event was not an original idea of the Perry band. Perry took the idea from Elkhorn, Neb., when we participated in their Band Olympics. I know this because I was there. 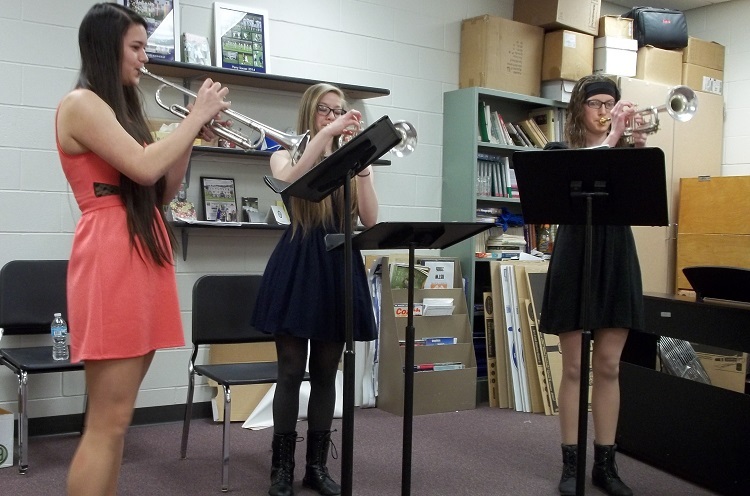 Perry started their Band Olympics the year after attending Elkhorn’s.